Are debt collectors harassing you, your family or friends? Are you ready to say, "enough is enough" and take control of your financial situation? If so, the Prime Legal Network are here to help you! PRIME LEGAL NETWORK is dedicated to helping individuals and families stop harassing collection practices and specializes in Fair Debt Collection representation. This experience and years of practice in the field puts us in a position to offer consumers the opportunity to avoid unfair debt collection practices and to achieve the strongest position with respect to their finances. Our representatives work each case individually to determine if you have been a victim of unfair collection pratices (as defined und Federal Law) and then help prepare a strategy to fight back against unfair and unscrupulous collection tactics. We maintain the highest standards of client services. Each of our clients receive periodic updates as well as regular e-mails and phone calls throughout the duration of their representation to enhance their service and provide a supportive environment. Many of our clients experience the depression and anxiety of debt while trying to survive the daily stress of life. Most are suffering from exposure to unfair debt collection activities including harassment, repeated/excessive phone calls or the use of obscene language in an attempt to collect debt; ALL of which are prohibited by the Fair Debt Collection Practices Act. The FDCPA also prohibits debt collectors from threatening suit on old debt that is past the Statute of Limitations. 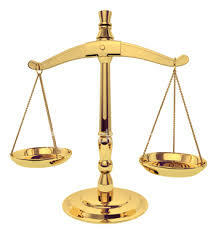 At Prime Legal Network, we specialize in defending against unfair collection actions. We help people take control of their financial problems by helping them establish goals across realistic timeframes. People begin to learn that they control their lives and do not have to be controlled by the harsh harassment of creditors. If you have been a victim of unfair collection practices call us at (213) 261-4700. Yes. As long as it takes - we do not limit the time for the initial FREE consultation. Yes. The fees vary depending upon the particular service. We do have some services which are based upon an hourly rate. Monday through Friday 9:00 to 6:00pm. But we are also available outside of normal business hours, if needed. Yes, depending upon the situation. This is an absolute must in every case in order to ensure that we are providing the best value for our clients. Very frequently. This is our preferred method of resolution. Here at PRIME LEGAL NETWORK, we have turned the traditional legal practice upside down, focusing heavily on client centered representation. The attitudes of our attorneys are characterized by the relationship conditions of empathy, respect, warmth and genuineness. We understand that achieving our clients' goals is critical, but equally important is the need to create a reassuring and comforting experience for our clients during their representation. Essentially, we realize that the journey is as important as the destination. Our approach is based upon two primary concepts. First, that each client has their own self worth, and therefore deserves our full respect. And second, that each client has the right to self-direction, to choose his own values and goals, and to make his own decisions. These two concepts have shaped our entire approach and have driven us to ensure that every client receives representation which is uniquely tailored to their own situation. Many other law firms start by showing the client a laundry list of services they provide, and then ask them to choose one. We turn this approach upside down by first learning about the client, and then creating a program to fit their unique desires and goals. We have found that this approach provides clients with a nonthreatening and receptive environment in which they feel free to express their wishes without free of consequence or judgment. Only this way can we develop the best plan and program for our clients. We feel that a thorough education of our clients is essential to proper representation. Ultimately, our clients must make certain important decisions about the direction of their case, and they must be properly educated to make these decisions on an informed basis. This is why our website contains so many different education materials (videos, blogs and articles) for our clients and potential clients. The attorneys of Fidelity Law have practiced debt law for over a decade.This is an absolute must in every case in order to ensure that we are providing the best value for our clients.